Universal has made a slight release date shift for director Tom Hooper’s (The King’s Speech) large-scale musical adaptation Les Miserables. After seeing a recent cut of the film, the studio has decided that Les Mis is an appropriate fit for Christmas Day rather than its December 14th date, putting the film up against Quentin Tarantino’s Django Unchained, the Seth Rogen/Barbara Streisand road trip comedy The Guilt Trip, and the Billy Crystal/Bette Midler generational family film Parental Guidance. The pic was previously set to open directly against The Hobbit: An Unexpected Journey, but Warner Bros. pushed The Great Gatsby off of the December 25th date to next summer, creating an opening for a big film to square off against Tarantino. Hooper’s star-studded pic is expected to be a major contender this awards season (it’s my early blind pick for Best Picture), and the December 25th date is actually a genius spot to launch the film, which I imagine will be quite the box office success. Hit the jump to rewatch the stunning first trailer. 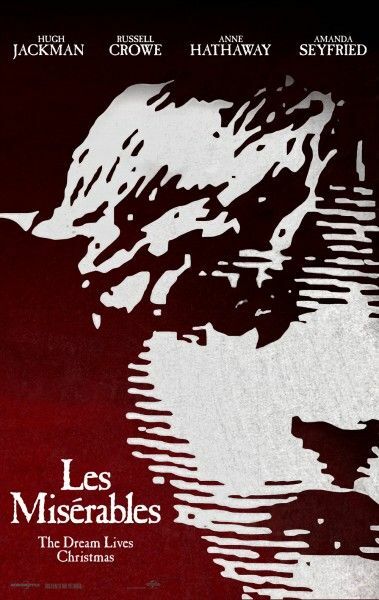 Les Misérables is the motion-picture adaptation of the beloved global stage sensation seen by more than 60 million people in 42 countries and in 21 languages around the globe and still breaking box-office records everywhere in its 27th year. Helmed by The King’s Speech‘s Academy Award®-winning director, Tom Hooper, the Working Title/Cameron Mackintosh production stars Hugh Jackman, Oscar® winner Russell Crowe, Anne Hathaway and Eddie Redmayne, with further casting to be announced.